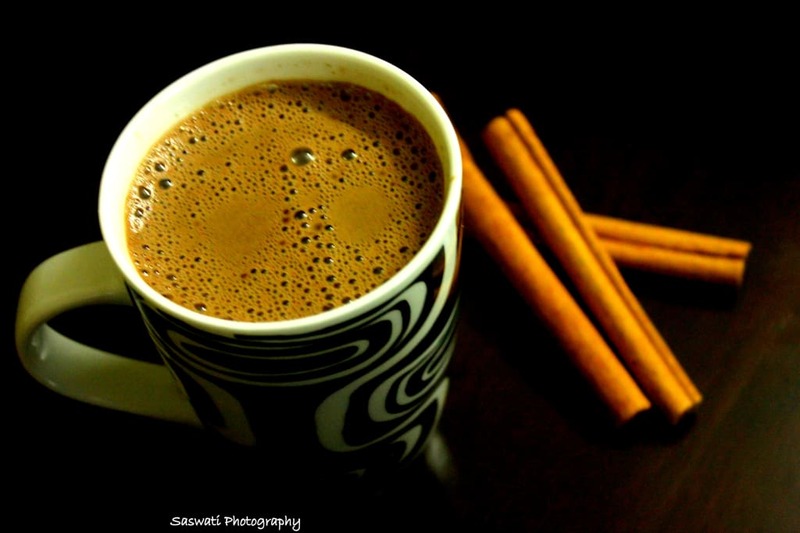 Though I am not that much crazy for chocolate like my sister, still i love to take a sip of hot-chocolate in a lazy weather!! First take the chocolate bar and chopped into small cubes. Add the coffee powder and heat the milk up to boiling point .Mix all the chopped chocolate and stir it slowly at low flame until dissolved. Mix cinnamon powder if you want. If you want your drink to be thicken one than cook for more 5 minute, be careful that it should not start boiling with bubbles. TIPS: You can add 1-2 tsp of sugar powder to the milk for more sweet . For more flavor you can add 1/2 tsp of vanilla essence to it.